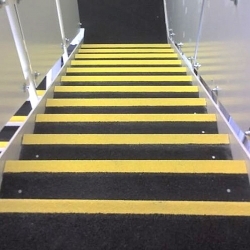 Rust-Oleum SuperGrip Anti-Slip Landing Covers are heavy duty preformed GRP (Fibreglass) panels that are designed to cover landing areas on staircases with an anti-slip, corrosion resistant surface. 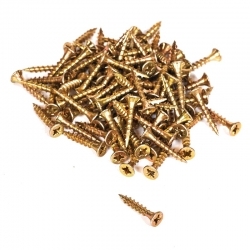 Ideal for damaged, worn or slippery landings, easy to fix with glue and screws, complete the look and safety of staircases in conjunction with Rust-Oleum SuperGrip Anti-Slip Step Covers. 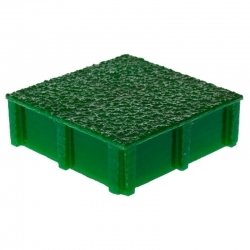 Ideal for commercial and industrial areas at factories, golf clubs, railway stations, foot bridges and more. 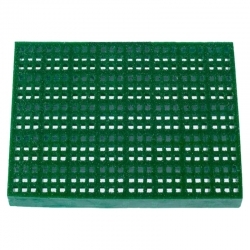 Rust-Oleum SuperGrip Anti-Slip Landing Covers provide a safe and durable surface for industrial, commercial and public landings. 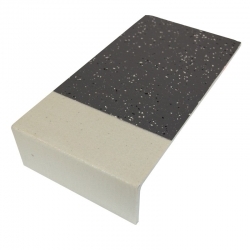 The contrasting nosing, means Rust-Oleum SuperGrip Anti-Slip Landing Covers are fully DDA compliant and satisfy the current Building Regulations. 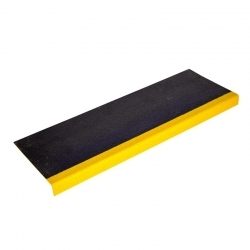 Unlike many other anti-slip products on the market, the Rust-Oleum SuperGrip Anti-Slip Landing Covers are made by being pultruded through a steel die as opposed to the simple lay-up method. 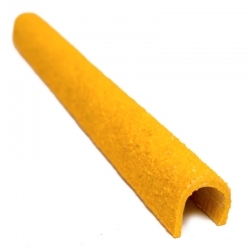 This means the thickness is consistent throughout the length of the product, and it’s more rigid and resistant to expansion making it ideal for high footfall areas. 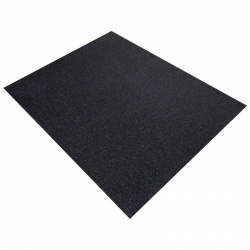 Furthermore, in utilising isophthalic polyester resin with glass woven matting, Rust-Oleum SuperGrip Anti-Slip Landing Covers help cover the highest demands in both safety and durability. 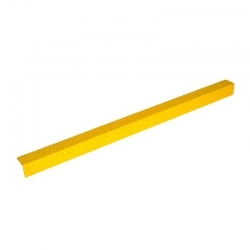 Heavy duty, long term line marking strips designed for permanent solutions to internal and external areas. 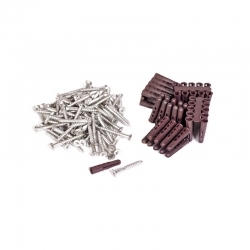 The though fiberglass profile makes it a hard wearing product designed for life that is easy to secure through pre-drilled holes.